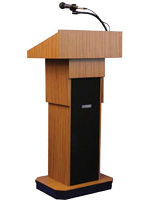 These podiums with wireless microphone have a floor standing design and measure 22" wide. 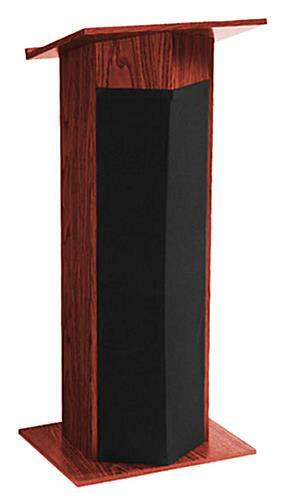 Each speaker's stand is made of solid wood with a mahogany finish that fits any décor. 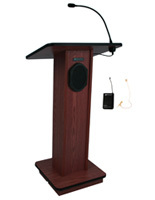 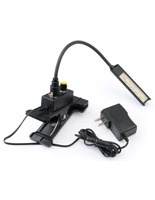 The podiums with microphone also come with a rechargeable battery and built-in sound system for immediate use. 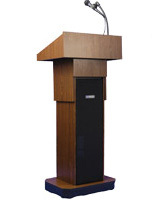 Each floor standing lectern can also interface with other sound systems, making them a versatile choice for any presentation need. 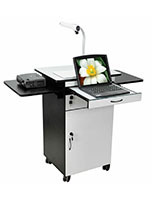 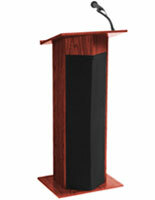 The wood podiums also feature a 40 watt multimedia amplifier with controls for volume, bass, treble and more. 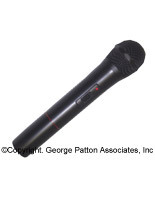 The speaker's stands with an included battery ship unassembled to reduce shipping costs.